Have you heard that adult coloring books are all the rage? What about adult sticker projects? I think sticker resists and fabric spray paint might be the next big thing. This fun and easy technique opens up a world of interior design options. You are only limited by the foam sticker aisle and even then you could cut your stickers from craft foam. My first project for eHow is live this week. 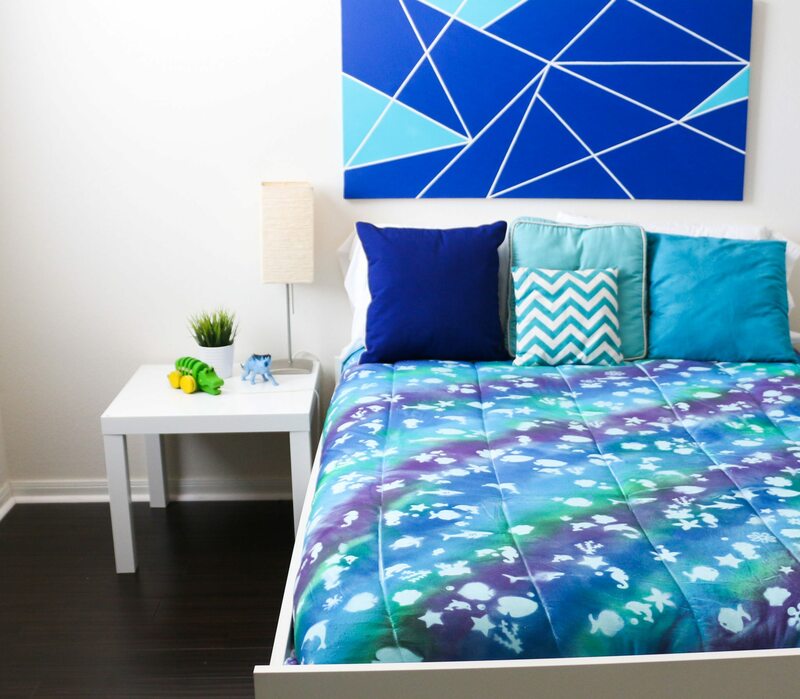 Pop over and check out my post on How to Stencil a Kids Comforter with Foam Stickers. Looking for more ways to play with stickers and spray paint? I have a couple of suggestions. You knew I would right? 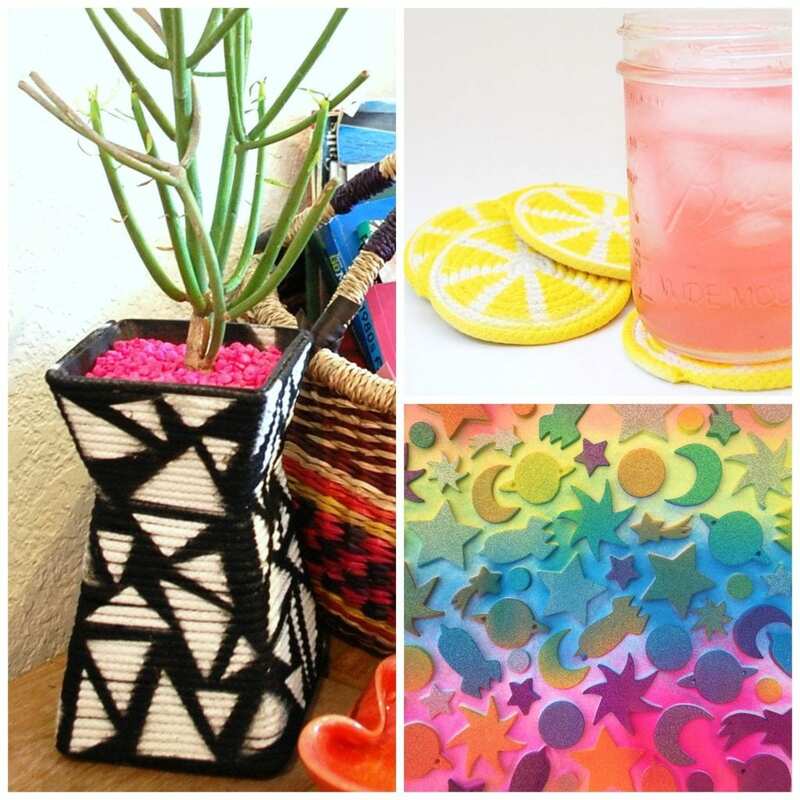 Geometric Vase – this fun project on BlogHer talks you through making your own stickers with sticky back foam. Citrus Coasters – need somewhere to put your beverage? I got you covered. Kids Space Shirt – get the kids involved peeling those stickers. Zebra Print Shower Curtain – yup get sticky in the bathroom. Ombre Alphabet Tote Bag – Teach your kids the alphabet in style. So what do you think? Will adult sticker crafts be the new coloring book? Let me know what projects you get sticky with. Posted September 15, 2015 & filed under Crafts, Home Décor Crafts.